Short sleeves with button placket at left shoulder. Snake motif graphic at front. 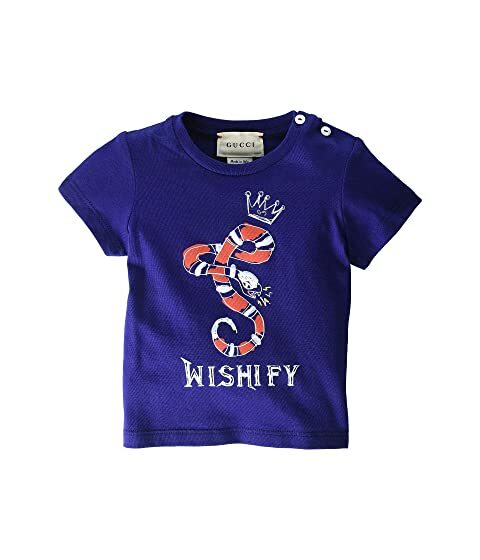 We can't currently find any similar items for the T-Shirt 548034XJAIK (Infant) by Gucci Kids. Sorry!